JODHPUR, INDIA - 12 FEBRUARY 2015: Local Indian people gathered around the fire at street in Jodhpur. JODHPUR, INDIA - 17 FEBRUARY 2015: Indian man preparing local food at street stand in Jodhpur in night time. 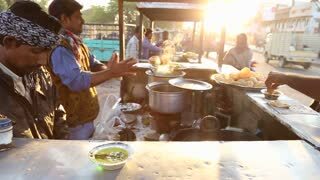 JODHPUR, INDIA - 17 FEBRUARY 2015: Indian man preparing local food at street stand in Jodhpur, closeup. JODHPUR, INDIA - 12 FEBRUARY 2015: Panoramic view of city street in Jodhpur with local houses and people. JODHPUR, INDIA - 12 FEBRUARY 2015: Portrait of Indian men at street in Jodhpur, with people passing by. JODHPUR, INDIA - 12 FEBRUARY 2015: Vendors preparing local Indian food at market stand in Jodhpur. JODHPUR, INDIA - 12 FEBRUARY 2015: Indian man eating local food prepared at market stand in Jodhpur. JODHPUR, INDIA - 12 FEBRUARY 2015: Portrait of Indian man sitting inside of a truck at street in Jodhpur. JODHPUR, INDIA - 12 FEBRUARY 2015: Local people having a discussion by vehicles standing at street in Jodhpur. 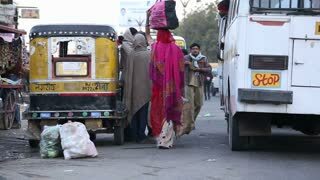 JODHPUR, INDIA - 12 FEBRUARY 2015: Group of Indian men standing at street in Jodhpur while vehicles pass by. 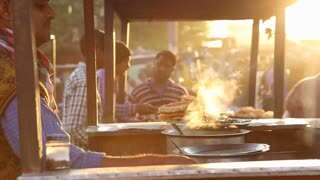 JODHPUR, INDIA - 11 FEBRUARY 2015: Smiling Indian man frying local food at street stand in Jodhpur.